Disney confirmed this morning that the Hatbox Ghost will be returning to the Haunted Mansion this May 2o15 (probably around the time of the debut of the new 60th Anniversary entertainment). 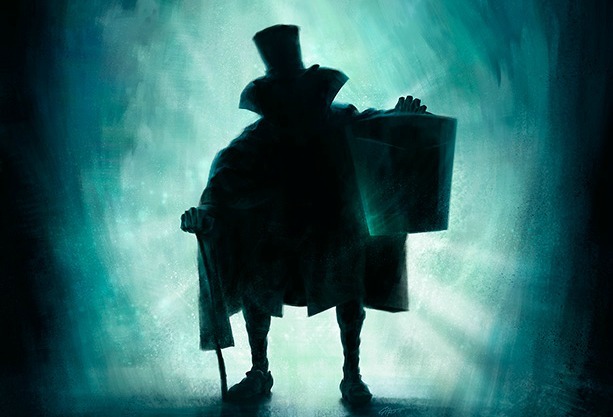 This is the concept art released by Disney for the new version of the Hatbox Ghost. 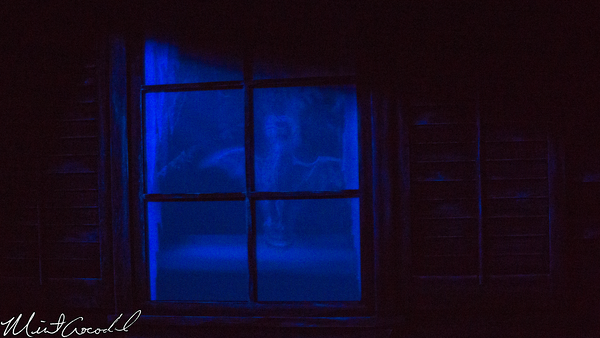 The Hatbox Ghost is a legendary figure in Disneyland history. The original Audio-Animatronic was in the Haunted Mansion when the attraction opened, but was removed a very short while later because the effect (hat goes from head into the hatbox) didn’t work. For more about the Hatbox Ghost and the history of the Disneyland Haunted Mansion, check out our full history of the Haunted Mansion. This photo of the temporary wall where the Hatbox Ghost will be found comes from Mint Crocodile. A couple of months ago a wall appeared outside of the attic scene before the graveyard inside of the mansion. It is assumed that this will be the spot that the Hatbox Ghost will return to. For more Disneyland news and secrets, sign up for our Disney Dose newsletter and like our Facebook page.